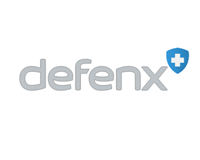 Defenx Plc (LON: DFX), the cyber-security software group, announces that it has now received €300,000 following the final draw down of the unsecured loan of €950,000 provided by BV Tech S.p.A. (“BV Tech”), the Company’s majority shareholder, as announced on 2 October 2018. The Loan has now been fully drawn. Subsequent to this draw down, the Company confirms that it has sufficient funds through to the end of April 2019. 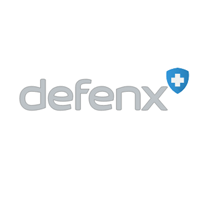 The Company confirms that it is in advanced discussions with BV Tech with regards to the provision of specific distribution rights to BV Tech for Defenx’s products, in return for which, it is currently envisaged BV Tech will pay Defenx both a fixed fee (payable in instalments) and monthly fees. In addition, the Company is also in discussions with BV Tech regarding the provision of certain software services by BV Tech to the Group in respect of its range of new and existing products. However, there can be no guarantee that agreement will be reached between the parties, in which case the Company will need to consider other forms of funding. Further announcements will be made as appropriate. As detailed in the Announcement, the Loan is convertible, at the sole discretion of BV Tech, into new ordinary shares of 1.8 pence each in the Company (“Ordinary Shares”) at a price of 8 pence per share. The Company has received a conversion notice in respect of the further draw down and accordingly, 3,267,842 new Ordinary Shares will be issued to BV Tech pursuant to the conversion notice. On admission of the new Ordinary Shares, BV Tech will be interested in 25,964,850 Ordinary Shares, representing approximately 67.1 per cent. of the Company’s then enlarged share capital. Application will be made to the London Stock Exchange for 3,267,842 new Ordinary Shares to be admitted to trading on AIM pursuant to the conversion. It is expected that admission will occur at 8.00 a.m. on 22 March 2019. Following Admission, the Company’s total issued share capital will comprise 38,708,894 Ordinary Shares with voting rights. This figure may be used by shareholders as the denominator for the calculations by which they will determine if they are required to notify their interest in, or a change to their interest in, securities of the Company under the FCA’s Disclosure Guidance and Transparency Rules. The new Ordinary Shares will rank pari passu in all respects with the existing Ordinary Shares in issue, including the right to receive all dividends and other distributions declared. Click DFX for the full archive.